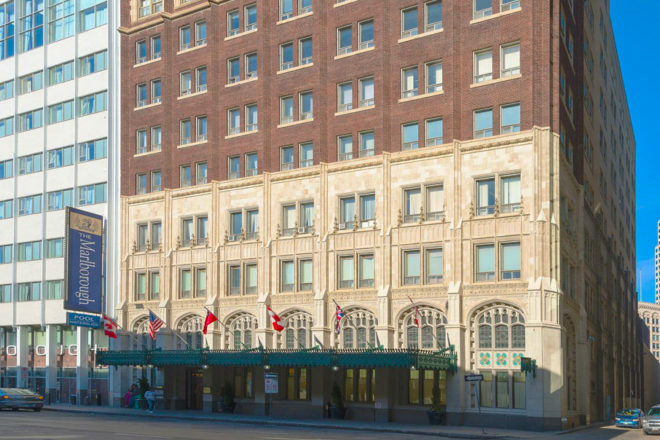 Built in 1914 as the Olympia Hotel and at only three storeys tall, the hotel immediately established itself as one of the most prominent and luxurious places to stay in Winnipeg. It was only a few short months before it closed down to become a barracks for soldiers during World War One. A six storey expansion greeted guests in 1921, and in 1956 construction began on a ten storey tower on the north side of the hotel. In 2004 the property was connected to the former Garrick Theatres to create the only pool and waterslide in downtown Winnipeg. Late Gothic Revival architecture, imported Italianate marble, and beautiful stained glass windows are some of the features that can be seen in the building today! Guided tours will start every 30 minutes between 11:00am and 4:00pm, lasting 90 minutes, maximum 40 participants.